Real Estate – Hu Law Office, P.C. Hu Law Office is a full-service real estate law firm serving Boston and the surrounding areas. Whether you are a first-time home buyer, lender, or real estate investor, we are equipped to guide you through a wide range of real estate transactions. Hu Law Office has over 18 years of experience representing buyers, sellers, and lenders in real estate matters, and we bring the highest level of legal knowledge, skill, and expertise to every deal. We give each transaction the attention it deserves, and our familiarity with Massachusetts real estate law ensures that our clients are informed and protected at every step of the process. The goal of Hu Law Office is to simplify the purchase, sale, and financing process, and solve any problems that come between our clients and a successful closing, whether they are buying their first home or investing in a multi-million dollar project. When necessary, we are prepared to aggressively protect our clients’ interests. Above all, Hu Law Office is dedicated to providing our clients with exceptional legal representation in all real estate matters, while keeping legal fees as reasonable as possible. Residential Purchase and Sale Agreements: Reviewing, drafting, and negotiating offers to purchase and purchase and sale agreements for buyers and sellers. Residential Real Estate Closings: Guiding clients through each step of the real estate transaction, including offer and P&S review, due diligence, condominium document review, addressing and resolving title issues, reviewing and explaining all closing documents, and addressing all questions and concerns along the way. 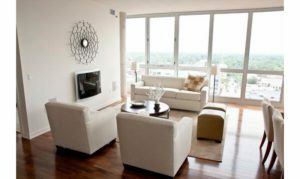 Condominium Conversion: Advising owners and developers regarding condominium conversion, ensuring compliance with local and state regulations, drafting and recording master deeds and trust documents. Lender Representation: Representing banks and institutional lenders in real estate transactions, including loan documentation, title work and title policies, settlement preparation, and closing services. Attorney Hu is an authorized agent of Fidelity National Title Insurance Company. Asset Protection: Advising clients with regard to estate and trust planning and asset protection strategies and drafting instruments including LLCs, Homestead Declarations and Nominee Trusts. Attorney Hu is fluent in Mandarin and Taiwanese and is experienced in guiding Chinese and Taiwanese buyers, sellers, and investors through complex real estate transactions. She is sensitive to the unique real estate legal needs of foreign investors, as well as local homebuyers from the Boston area’s Chinese community. If you have an upcoming real estate deal or have a question about a real estate legal matter, please contact the Hu Law Office at (617) 278-3955. Contact Hu Law at (617) 278-3955 for more information on how we can address your legal needs.